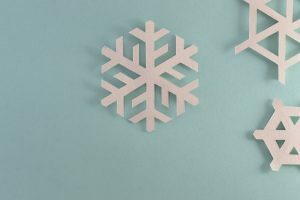 Winter is here again, and you may be wondering what fun activities you and your family can do without digging deep in your pocket or having to leave the house. This article is just what you need to have a fun-filled winter! Making snow angels have been in existence for ages, nevertheless, it still has that magical effect on kids! Teach your kids how to make snow angels; you can also add a little fun to it by awarding the best and fastest snow angel “creator.” By the end of the game, your kids would be exhausted but happy. You can have your alone time to do whatever you planned to do that day. Remember the smile on your face back then when you cut snowflakes out of paper? Give your children the same opportunity by making paper snowflakes. There are a lot of tutorials on YouTube on how to make snowflakes out of paper. Who says you can’t make your snowman inside? Well yes, you can! If you do not want your kids to be running around unsupervised, you can bring some snow inside your house and let them play with it. However, ensure the room is void of any breakables, and you are comfortable with them playing inside the house. This is one way to have your alone time while your kids have fun inside. You can also teach your kids the life cycle of a snowman by freezing three balls (the top, middle and the bottom). Help your kids to set it up or better still, allow them to do it themselves while you direct them. Let them observe what happens. It is a fun way to learn the different stages of water (ice-water-gas). Baking or cooking with your family is one delicious way to enjoy the winter. Nothing beats the smell of freshly baked cookies. There are a lot of wonderful recipes out there to try out this winter. You can spice things up by creating your family baking or cooking competition. Kids love snowball fights; the thrills, giggles, and laughter that follows the game are incredible. Try it out! The above 6 activities ought to give you and your family an exciting winter, so have a blast.